From the way that OEMs are rushing to get ahead in the slate race, you’d think that tablets were just about as ubiquitous as our beloved smartphones. But according to Nielsen, that is not the case, whatsoever. 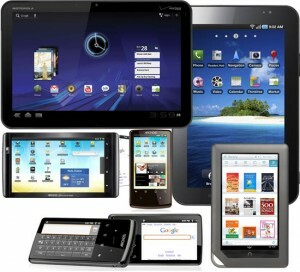 In fact, only about 5 percent of the 12,000 U.S. consumers surveyed own a tablet. And that number is even smaller in smaller markets, as UK-based Paul Lee of TMT Research approximates that tablet owners in his home country number one out of ever sixty people (1.7 percent). Those aren’t really the numbers we’d expect to see, since just about everyone and their brother has been talking about tablets since the launch of the iPad last year. What’s more shocking, these figures put tablets behind every other wireless device category at the moment of penetration, and behind the majority of devices when it comes to rate of adoption. However, this isn’t all bad news for tablet makers, at least every tablet maker but Apple, which, according to Nielsen, currently holds 80 percent of the tablet market. If only a measly five percent of the U.S. population owns a tablet, the majority of whom probably chose the iPad, that still leaves a whopping 95 percent of U.S. Americans just waiting to find a tablet they can’t resist. The five percent who do sport a tablet, on the other hand, are definitely an attractive bunch to advertisers and media producers. On average, tablet owners watch more video and read more books, are more accepting towards advertising, and are more likely to answer the call-to-action after viewing an ad than those using smartphones or other devices.